Dinosaur Zoo: Meet The T-Rex! ENTER AT YOUR OWN RISK – St David’s Hall is set to be transformed into a real-life Jurassic Park as Dinosaur Zoo stampedes into town next month! After its roaring success at the West End, the family favourite is returning to the National Concert Hall of Wales for three fun-filled shows on Sunday 8 November (12noon & 2.30pm) and Monday 9 November (11am). From cute baby dinos to teeth gnashing predators, the zookeepers have got their work cut out containing all the fierce creatures in their crates! This year there’s a new range of dinosaurs also making the journey including an Arctic Tyrannosaur, an infant Triceratops and a baby Parasaurolophus! Plus the biggest one of them all is coming too, the Tyrannosaurus Rex – and you’ll get the chance to meet him! Tickets are £12.50*, but for those who are feeling particularly bold there’s the DANGER Seats! For just £15* you’ll have a seat so up close and personal to the T-Rex that you’ll be able to smell his rancid breath! Don’t get on his bad side though, and certainly do NOT feed him! Dinosaur Zoo creators Erth use ingenious puppetry to bring these long extinct creatures hurtling back to life in an interactive and imaginative live show suitable for all the family (ages 3+). Audiences are initially introduced to tranquil plant-eaters and adorable dino babies before the zookeepers invite only the bravest crowd members onstage to meet the more ravenous reptiles. Once the uproar has died down, there’s a post-show ‘Meat & Greet’ session offering everyone the chance to meet the dinosaurs in person. Come Meet The T-Rex at St David’s Hall – if you dare! Running time: 50 minutes and 15 minute post-show ‘Meat & Greet’ after every show. Tickets are still available priced £12.50 and Danger Seats are £15. Schools & Groups are priced £8.50 each (every 10, get one free). A Tyrannosauric treat for all ages 3+. 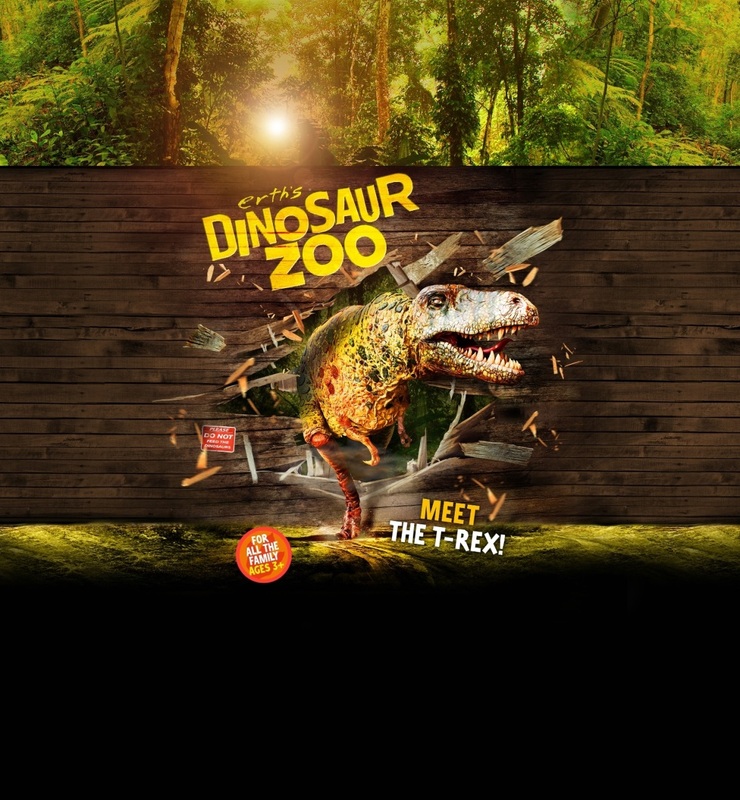 Since its birth in 2013, Dinosaur Zoo has captivated audiences across the globe including America, Australia and across Europe to the delight of children and parents alike with its perfect mix of adventurous daring, informative learning and entertaining fun. After a hugely successful season at Regent’s Park Open-Air Theatre, the show began touring the UK; enjoying a Christmas season in the West End at the Phoenix Theatre in 2013 and at Edinburgh Fringe Festival the following year. Recently the show has returned to the West End at the King’s Cross Theatre. Australian-based creators Erth were formed in 1990 and have produced eye-catching theatrical experiences including giant puppetry and inflatable environments, which have amazed audiences not least at the Sydney Olympic Games Opening Ceremony in 2000!